MV: An Aselamulaikum to all! 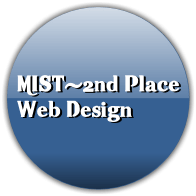 I am proud to announce that this year I am using this site to compete for MIST this year in NY! (Muslim Inter-Scholastic Tournament) which is hosted by MSA. The Muslim Inter-Scholastic Tournament (MIST)™ is a unique program designed for today’s American youth. It is famous for being a fun, educational, interactive program of competitions and workshops geared towards bringing high school students together from around the nation to develop leadership, communication, and other creative skills, all while gaining a deeper understanding of Islam and Muslims. The Muslim Inter-Scholastic Tournament (MIST)™ consists of annual Regional Tournaments that take place in Atlanta, Boston, Detroit, DC, Philadelphia, New York City, Houston, Southern California, and Toronto. The winners from each Regional Tournament qualify to complete at the annual National Tournament. The tournaments lasts two-three days, ending with the Awards Ceremony on the final night. The Muslim Inter-Scholastic Tournament (MIST)™ currently features 31 different competitions. My Masjid’s youth group will enter the tournament as a high school with the team name: Selden Ilm Seekers! When I first heard of the competition I choose basketball and my Muslim peers all looked at me when the competition for Web Design was announced so..I decided it would be a great opportunity to introduce The Muslim Voice to compete with other sites. Also I will try to upload videos and images from the event InshAllah so stay tuned! You can also become a part of MSA and MIST! The Muslim Students Association (MSA) is a registered student organization at Arizona State University. MSA exists for the sake of Allah and Allah only. It is a social group for the Muslim students on campus; consisting of people of different origins, nationalities, and culture; serving the needs of students by the virtues of brotherhood and sisterhood; a means by which Muslim students maintain and increase their faith in a college environment as well as an expression of their creativity and ideas; a tool by which non-Muslims on campus learn about Islam and its beauty; a voice for the Muslims on this campus and of all Muslims worldwide. Above all, MSA is the stepping stone by which students learn the techniques, develop the motivation, and acquire the passion to commit their lives for the sake of Allah. Great work, Saad. Keep up the good work.